ESVAGT’s customer satisfaction survey praises the shipping company. Focus for 2015 is potential for improvement. 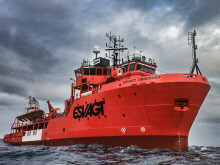 ESVAGT is getting busy in the UK market, where several vessels have shown customers what they can do. ESVAGT is the first foreign shipping company to receive the prestigious ’Beredskapsprisen’, The Emergency Preparedness Award. 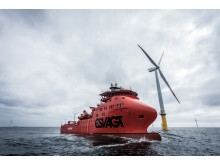 ESVAGT’s high standards behind award. ESVAGT is replacing its complete range of work clothes. Safety and visibility come before fashion.